Turkish Cargo, the successful air cargo brand of Turkish Airlines, has managed to increase its cargo tonnage by 9.6 per cent in February despite a decline in the global air cargo sector. The air freight company steadily continues towards its goal of becoming one of the top five of the world’s air cargo brands, said a statement. 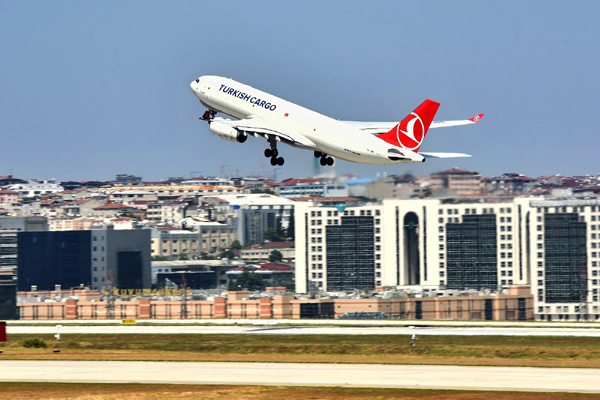 Continuing its growth during the 2019 which also had the world’s biggest moving operation, Turkish Cargo managed to rise to the 7th spot in the World Air Cargo Data (WACD) with 9.6 per cent increase in its tonnage despite the 5.8 shrinkage in the air cargo market along with 5.7 per cent fall in the demand according to International Air Transport Association (Iata) reports during January and February. Successful air cargo brand increased its market share in the sold tonnage by 0.6 points in the first two months of the year compared to last year and reached a growth of 4.3 per cent while increasing its cumulative market share by 0.4 points to 4.1 per cent and achieved a sustainable growth. “We continuously experience these exciting achievements especially in recent years. For instance, in the last two years, we rose from 12th place to 7th place after surpassing five big global air cargo brands from Europe and Far East,” Ayci said. “Especially considering that the shrinkage in the demand for the market causes gloom in the sector with disappointing numbers, this success brightens the future of Turkish Cargo even more. With our determination and growth strategy in the air cargo market, Turkish Cargo will be one of the top five air cargo brands in the world. I express my thanks to all my colleagues who contributed to this success,” Ayci added. With the moving operation to Istanbul Airport, the world’s biggest airport project, Turkish Cargo will continue its operations with Atatürk Airport and Istanbul Airport as “Dual Hub”. After the completion of Istanbul Airport’s all phases, Turkish Cargo will have the capacity of handling 4 million tonnage of cargo in a year thanks to its cargo terminal with 300,000 sq m indoor space.